A recent four hour plane trip to northern California to drive the all-new Jeep Renegade proved to be worth every second. To loyal Jeep followers, the only real Jeep is the Wrangler, but in today’s cut throat automotive business, the only way to survive is to build vehicles for the masses. There is no question that the Wrangler is the ultimate, but what about those of us that want off-road capability and on-road civility? The Renegade is offered in Jeep’s off-road version called the Trailhawk, and here is where it really shines, giving the part time enthusiast all of the tools needed to keep up with its Wrangler brother. With its fully independent suspension, capable of up to 8-inches of wheel articulation and over 8 ½-inches of ground clearance, the Trailhawk Renegade knocks on Wrangler’s door. Model-specific front and rear bumpers allow for increased approach and departure angles too. 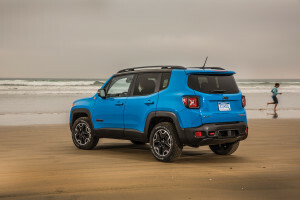 The Renegade comes with one of two 4-cylinder engines, a turbocharged 1.4-liter version with 160 horsepower, matched exclusively to a 6-speed manual transmission, or a 2.4-liter, 180-horsepower version, connected to a 9-speed automatic. Both get more than 30-mpg-highway. Two, full-time all-wheel drive systems are offered including one with a 20:1 crawl ratio. Two-wheel drive is also available. The interior is a delight for the eyes with anodized design accents and colors derived from extreme sports equipment. The Renegade is designed with an efficient and flexible interior package that includes a fold-forward front-passenger seat and removable, reversible and height-adjustable cargo floor panel. Outdoorsy-types will like the removable roof panels and cloth and leather seating are offered in color combinations you’ve not seen in a vehicle before. 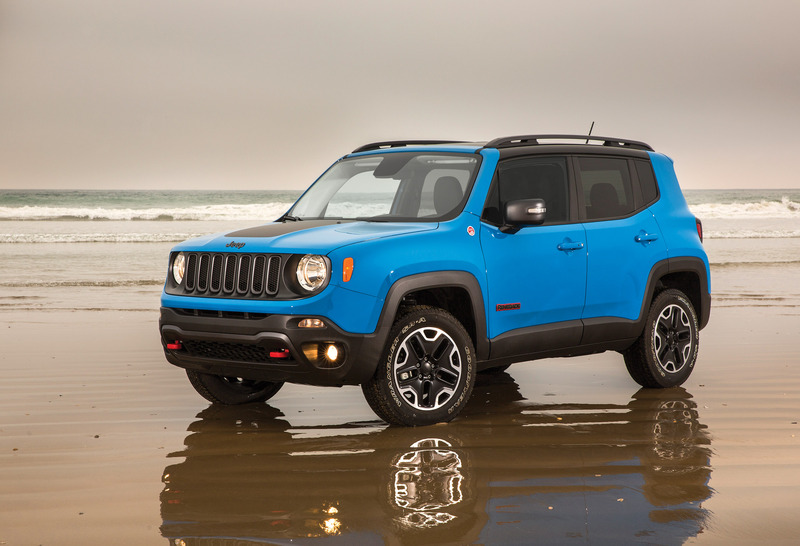 Most of us will be completely delighted with the two-wheel drive model, but off-road, the Renegade earns the Jeep name. After several hours traversing northern California, including tough mountain terrain, and city and highway driving, we can honestly say it has every piece of Jeep DNA. Whether you are in the market for a runabout-size SUV or not, we encourage you to go and take a test drive. 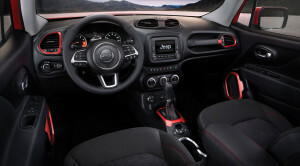 The Renegade arrives at Jeep dealers this month. With a starting price of $17,995, we think you’ll be impressed.